The campaign to divest from fossil fuels continues to pick up steam on campuses around the US and throughout the rest of the world. Only days ago the Norwegian parliament voted to divest its country’s sovereign wealth fund from investments in coal. This is a huge victory: Norway was one of the world’s top ten investors in the global coal industry. But the struggle faces immense odds. A recent report from the International Monetary Fund – of all places – assessed the annual subsidies to fossil fuel industry at a jaw-dropping $5.6 trillion, or 7% of annual GDP for the entire world. These subsidies come in the form of direct payments, tax breaks, and unpaid environmental costs. Damage the environment, causing more premature deaths through local air pollution, exacerbating congestion and other adverse side effects of vehicle use, and increasing atmospheric greenhouse-gas concentrations. Impose large fiscal costs, which need to be financed by some combination of higher public debt, higher tax burdens and crowding out potentially productive public spending (for example, on health, education and infrastructure). Discourage needed investments in energy efficiency, renewables and energy infrastructure, and increase the vulnerability of countries to volatile international energy prices. Are a highly inefficient way to provide support to low-income households since most of the benefits from energy subsidies are typically captured by rich households. Among other benefits of ending these enormous kickbacks to dirty energy producers, the IMF researchers calculate a $1.8 trillion net gain in social welfare, a gain that could be increased were this gain used to invest in education, health and other public benefits. So why don’t we cut these suicidal subsidies immediately? The answer, of course, is that the fossil fools have our politicians in their back pockets. Breaking their political hegemony is one of the greatest radical tasks of today. 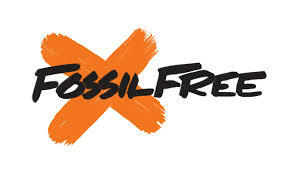 The campus-based movement for fossil fuel divestment is a great start. But it is only a drop in the bucket. As Sasha Abramsky argues in his brilliant Sparking a Worldwide Energy Revolution, there are exciting potentials for alliances between rural social movements (where most of the fossil fuels are located), urban dwellers the world over (who need affordable and sustainable forms of decentralized energy), and workers in the energy sectors (both carbon-based and renewable). This kind of radical movement is, not surprisingly, hardly touched upon by the IMF analysts. 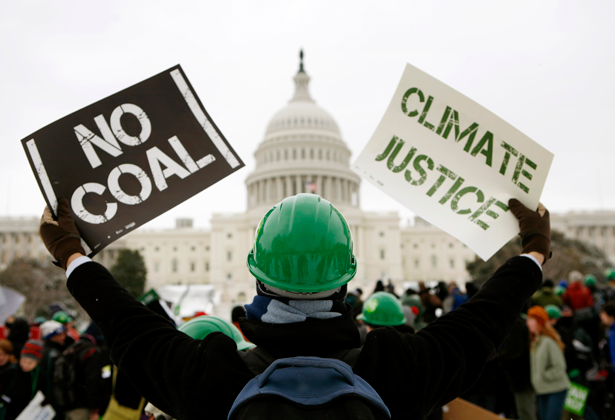 Instead, they talk of ending fossil fuel subsidies through a series of environmental taxes. But we need a far more radical program, one that brings energy production squarely under public control during this moment of crisis. Energy is too important not to be put in public hands. The trillions of dollars of fossil fuel subsidies are the logical product of allowing private interests to control critical resources for private profit and leaving ‘the market’ to dictate outcomes. We can’t make what is unsustainable sustainable through a better tax policy. That the enormous scale of reform proposed by the IMF paper still falls far short of what is actually necessary to create a sustainable economy demonstrates the severity of the crises we are only beginning to face. Time to go fossil free! The conclusion is inescapable: we need a campaign to get our schools and colleges, our religious organizations, our city and state governments, and all other institutions dedicated to the public good to divest from energy companies until they agree to stop exploiting fossil fuels. We want institutions to immediately freeze any new investment in fossil fuel companies, and divest from direct ownership and any commingled funds that include fossil fuel public equities and corporate bonds within 5 years. They need immediately to stop exploring for new hydrocarbons. This is an incredibly important campaign, one with precedents in the struggle against apartheid, but in this case the campaign touches not simply on an odious system of racial inequality in one nation but rather on a greed-driven capitalist system that threatens all life on Earth – although it will affect the most vulnerable, many of whom live in the global South, first. There are huge challenges. As Naomi Klein revealed in a recent article, most of the major US-based environmental organizations have substantial investments in and/or political ties to big energy corporations. It really beggars the imagination to believe that organizations like the World Wildlife Fund and the Wildlife Conservation Society should have major investments in companies like Exxon, but, as Klein’s article reveals, this is the stark truth. So, if you’re wondering what to do about the climate crisis, one immediate step would be to pressure your university, church, or local government to come clean and divest from fossil fuel madness.